David Readhttp://dreadnought001.wordpress.comteacher at the university of Sheffield English Language Teaching Centre. Fascinated by how technology can enhance language learning. Southampton supporter. At the recent BALEAP conference there were a number of sessions exploring the use of corpora and concordance tools with students in class. I have used a few of these in the past myself, such as Lex Tutor and COCA, with my own groups but I’ve never been entirely satisfied with how I used them and how much my students got from them. These tools aren’t really designed for classroom use and produce quite data heavy pages that can be confusing for both teachers and students. But students do need to be aware of word frequency and things such as the Academic Word List if they are going to focus their vocabulary learning. When I speak to students, it becomes apparent that they are not really sure which words they should be learning, how to record them effectively and what techniques they can use to remember them. Most of them admit that their general approach is to write down words in a notebook during class and then rarely look at them again. I’ve been working with one of my groups on developing a organised approach to vocabulary analysis and recording using a variety of digital tools that I hope will give them the words they need. Students need to make better decisions about what words to learn or – possibly more importantly – relearn. Spending hours memorising low-frequency words that they are unlikely to ever meet again is a waste of their time. The first thing they need to make sure is that their basic knowledge of vocabulary is fully developed. Francis and Kucera (1982) suggest that students need to know about 3000 words to achieve 85% text coverage. However, this means more than just knowing the basic word meaning or translation, this means more in-depth knowledge of a word’s grammatical structure and its common collocations as well as awareness of register and appropriacy. One thing I’ve been encouraging students to do is to use the Oxford Profiler, an online tool that can take any text and show what words come from the 3000 most frequent words in the language. By looking at the results, students can begin to identify which of the most frequent words they are not so familiar with and use other web tools to learn as much as they can about them. Waring and Nation (1999) suggest that by learning a specific list of approximately a thousand academic words – the article discusses the UWL (university word list) – that coverage can go up from 85% to 90%, meaning that only 1 in 10 words might be unfamiliar to the student, very important when reading academic texts. There are lots of good free online dictionaries that students can use to find out more about words, Oxford, Cambridge and Macmillan all have decent ones that can provide in-depth definitions, help with pronunciation and example sentences. One area though where dictionaries are not always so helpful is in identifying collocations for words. For this, I tend to refer my students to the Flax website, and specifically the learning collocations section. This is a wonderfully easy tool to use, you search for a word and it displays common collocates and the numbers next to the words show how frequent they are. This also helps students make better decisions about which words to learn. By clicking on each of the collocations, students can see a more detailed breakdown of the sub-collocations; e.g. from foreign policy you might get British foreign policy, US foreign policy etc and clicking further will give the actual sentences from the corpus where these collocations came from (see pic below). There are other useful collocation sites out there: Just the Word, Netspeak and Frazeit all do similar things though I still think Flax has the best balance of depth and usability. This is the area most neglected by students I think. Most of them don’t have any systematic approach to writing down words and recording information about them and they tend to just jot them down in their notebook in a fairly disorganised way or not at all and hope to commit them to memory somehow. But if students are going to get over that intermediate plateau, they need to be a lot more systematic in how they record and revise vocabulary, as they research words through some of the sites mentioned above, they need to be copying over some of that key information to an organised vocabulary bank that they can easily access. It could be done through their notebooks, but given the depth of information we want them to record, that could be quite laborious so a digital solution is probably more efficient. There are dedicated sites and apps where students can store and study vocabulary, Vocabmonk, Quizlet and Mywordbook are three possibilities and while they are great for motivating students to record and learn words, they are really designed for students to just learn the basic meaning of words with their focus on flashcards and quizzes. Yet this is exactly the kind of superficial understanding of words we want students to move away from. I want students to record a word’s collocations, grammatical patterns, synonyms and antonyms as well as the basic stuff such as meaning and pronunciation. For this kind of in-depth recording, using an online notebook works better as it’s normally easier to move the information they find online from a webpage into a notebook and then to access it from anywhere. I tend to recommend Evernote to my students simply because it’s free, available on all platforms and makes it super simple to clip things from a webpage into a notebook. One simple way I suggest using Evernote as a dictionary is to use the tag system to label word entries. 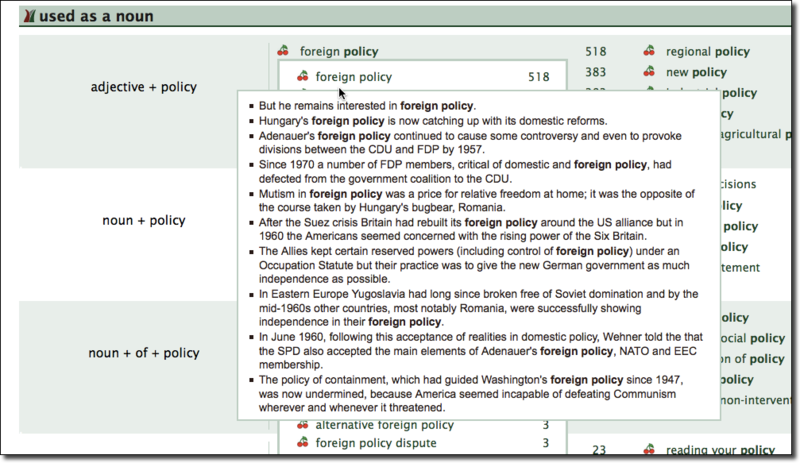 When they are moving round the web reading things, if they come across a useful collocation related to a particular word, I suggest they use the Evernote web clipper – a small extension that sits in your browser bar – to select the text and use the web clipper window to add a tag including the word. So for example if they see the expression carry out research, they select it, click the Evernote webclipper, add the tag research and then save. Once they’ve done this a few times with a word, they can then go to their Evernote account, click on the tag research and they’ll see all the entries related to that word. This is a great way for expanding their knowledge of individual words. 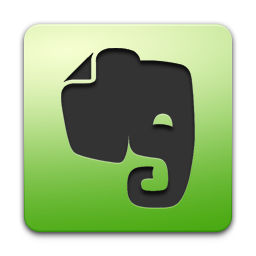 Another benefit of using Evernote is that students can share their notebooks with classmates. This can be a great way to encourage them to work collaboratively and share knowledge or to create a combined classroom dictionary. These are just a few ideas for helping students be more focused when studying vocabulary. It’s likely at first that students will be resistant to this, it can be very difficult to break habits, so it’s something to persist with in class, maybe set aside a small amount of time at the end of each lesson to record any new vocabulary or assign words to individual students to look up and note down. NATION, P. and WARING, R., 1997. Vocabulary size, text coverage and word lists. Vocabulary: Description, acquisition and pedagogy, 14, pp. 6-19. My students live obsessively on their mobile phones and tablets, sometimes too much so and most of us have had that mental debate about whether to let them use their phones in class. Given an idle moment in a lesson, most students will find some surreptitious way to check their messages and quickly tap one out before the teacher catches them. If we work under the assumption that we are never really going to be able to stop them using them (or stop them thinking about using them when they’re not), the least we can do is encourage and recommend them to use apps that will help them be better students and organise both their language learning specifically and their studying generally. As I mentioned in a previous post, making students more digitally literate is a step towards levelling the playing field a little between themselves and their native speaker colleagues on their current or future university courses. Below I’ll mention some apps that can be recommended to or used with students in class. In determining which ones to talk about, there were two defining characteristics that they all had to have: firstly, they were cross-platform, that’s to say working on at least Android and iOS, and secondly, they were free or at least work on a model that provides decent functionality for free but adds more with in-app purchases. For each app, I describe the category, why it’s useful, possible integration into lessons and also try to list alternatives if there are any. Why it’s useful: Students need to learn to organise their time well and keep on top of their studies, especially when it comes to longer pieces is writing such as a dissertation. Being able to prioritise what tasks need to be done when is extremely important and you can’t always rely on your memory to remember everything. A robust task management app is essential, the one I’ve been using for the last year is Todoist and it has helped me get on top of my daily tasks as well as help me plan longer term projects. 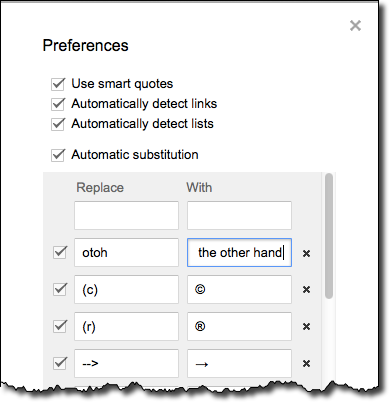 It does its best to make it easy to add tasks, you can install a plug-in for gmail to create tasks from emails, and there are browser extensions for Chrome and Firefox. 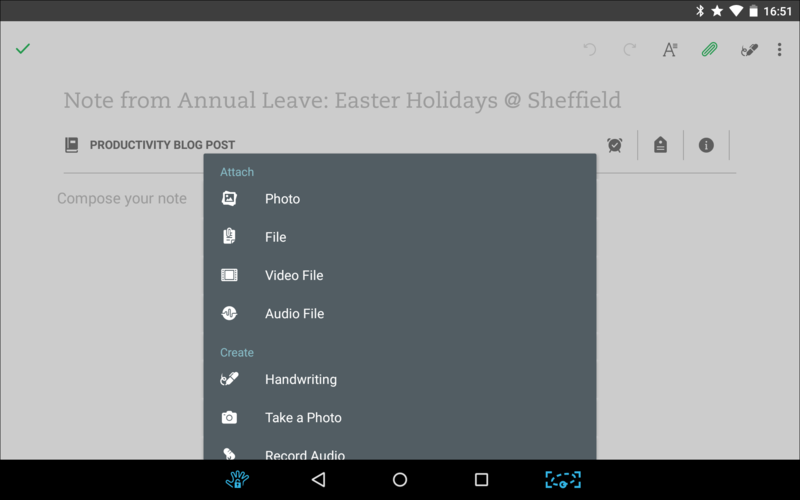 On Android there’s an excellent widget for adding tasks directly from your homescreen. For collaborative work, you can create projects and assign tasks to different people. Classroom uses: If you get students to sign up for Todoist, you can get them to use it for any group/project work you set them. 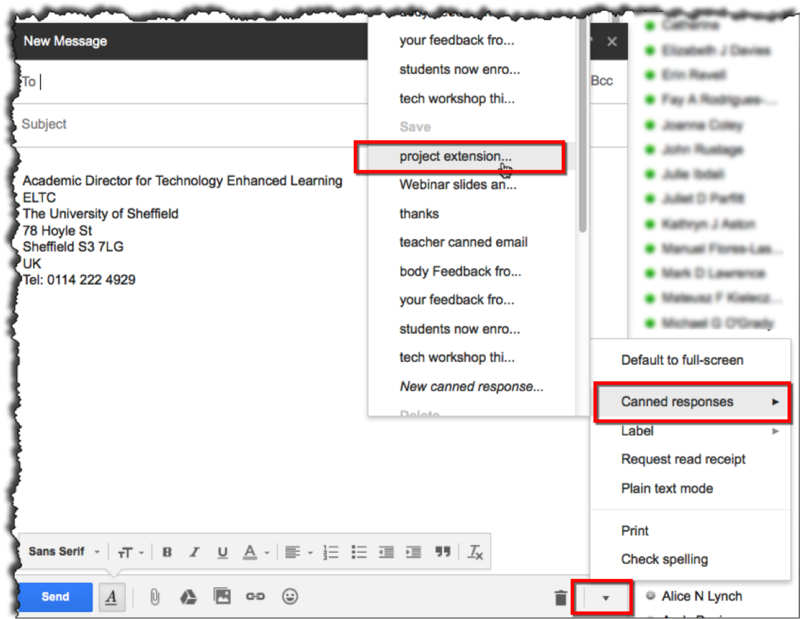 You could also get them to install the Gmail plug-in and add any important emails you send them (eg about homework etc) to their task list. This is really good practice for later on when they start their courses to quickly add important emails from their professors or classmates to their to do lists. Why it’s useful: Referencing can be a slog for all students, trying to remember the particular layout/structure of specific citation styles and scouring through books or the internet to find a book’s publisher can take up so much time better spent on actually writing their essays. 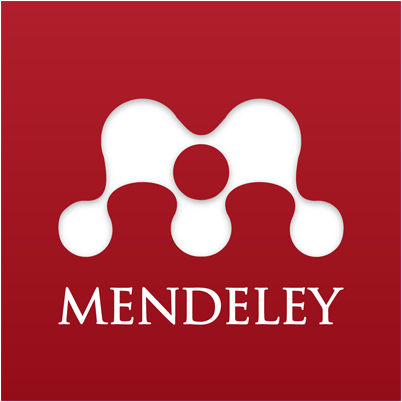 Mendeley takes care of a lot of that work, you can use it to store all your article and book references and easily generate bibliographies in the correct style. There’s also a plug-in for Microsoft Word that helps you add in-text citations and then create a bibliography based on those citations. You can also use Mendeley to store, read and annotate any PDF articles you have. Whenever I show my students Mendeley, their first reaction is happiness as they can see immediately how this will make writing their essays so much easier. Their second reaction is annoyance that they didn’t know about it when they were doing their Bachelors or Masters degree! Classroom uses: If you have writing projects in class with readings attached to it, get students to save them to Mendeley. They can also create small groups within Mendeley and share articles with each other. Why it’s useful: More and more universities seem to be encouraging groupwork and collaborative projects – even on Masters programmes – and success in these projects is heavily reliant on being able to organise them successfully between the various members. Trello is a beautiful web tool and mobile app that helps you visually organise tasks and responsibilities across a project and to see at a glance who is responsible for them and when they are due. It’s influenced by the Kaban theory of task management (think lots of different coloured post-it notes on a corkboard) and helps members easily see what’s been done and still needs doing. Trello could be used for personal task management I suppose, but to me it seems to work much better for group projects. 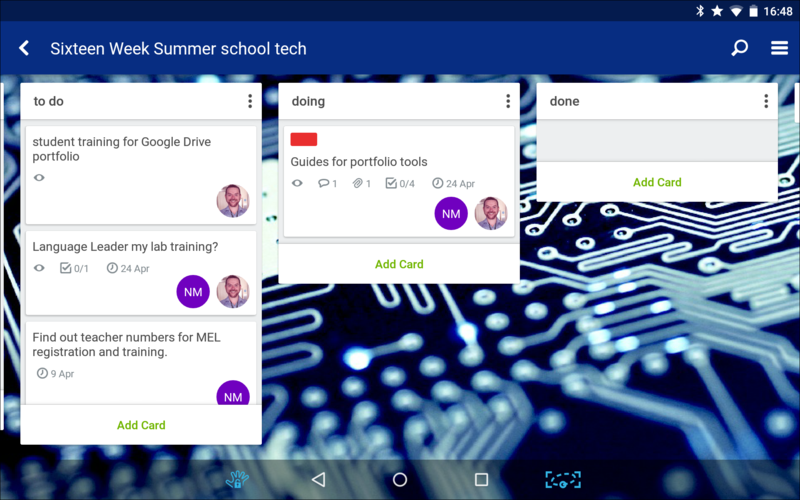 Classroom uses: Again, if you have any group projects, these can be assigned through Trello and students can update you and each other on their progress. Why it’s useful: A real sign of the times is that many of my students don’t have Microsoft Word on their own computers and would prefer to use local or free alternatives. 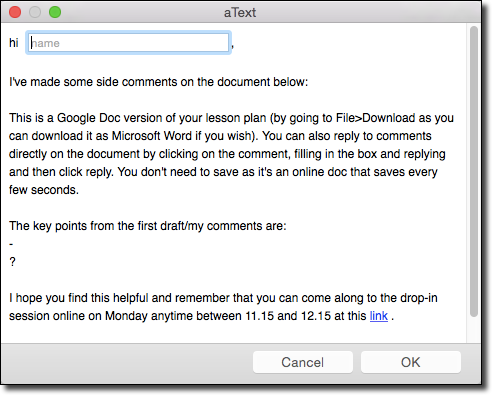 Google Drive enables students to do reasonably sophisticated word processing for free and gives them the added option of sharing and collaborating on documents in real time. The Google Drive app gives them the chance to continue working on their writing anywhere they have their mobile devices. Classroom uses: So many ways this can be used in class, but I’ll point to a couple of excellent blog posts from Tyson Seburn here and here to give you some ideas about its uses in academic writing. I’ve used it for collaborative writing tasks where students work in groups to write different parts of an essay. I’ve also used it for students to comment/annotate examples of good and bad essays. Why it’s useful: Having one place to keep all notes from lectures/seminars and to collect articles, documents and links in preparation for a written project can be really useful in getting students organised. Evernote does this remarkably well: you can choose the kind of note you want to make, whether that’s text, handwriting, or audio note. 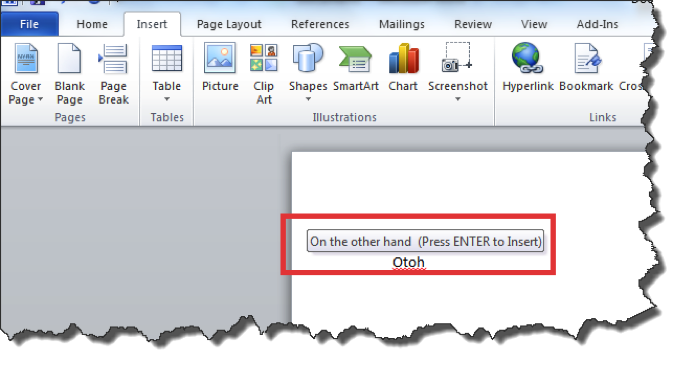 Or you can use it as a place to save webpages and upload documents. All of these things can be grouped into notebooks and/or tagged with specific labels for easy search and retrieval. The best thing about Evernote is its ubiquity. You can use it on the web, you can download specific programmes for PC or Mac and there are excellent apps for iOS, Android and Windows phone. The free version is very generous and full-featured but you can upgrade to a premium account to get more storage and advanced functionality. 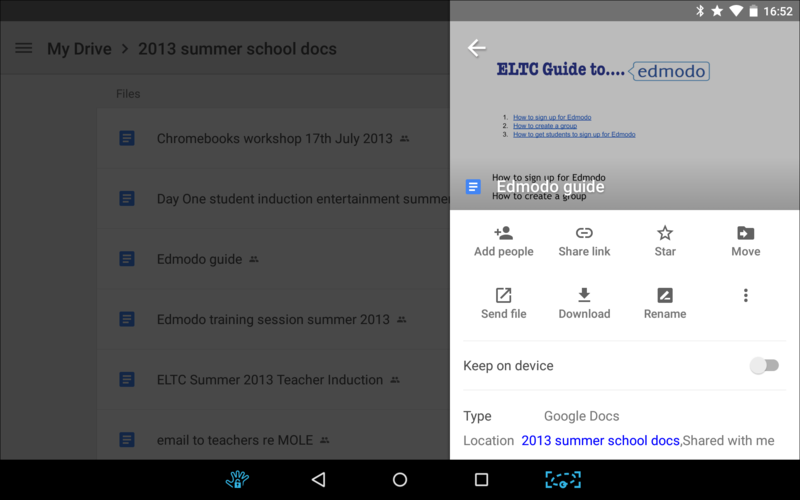 Rather like Google Drive, you can also share individual notes or notebooks with other users. Classroom uses: Great for any kind of group project, students can create a shared notebook and then add ideas, checklists, websites to it. 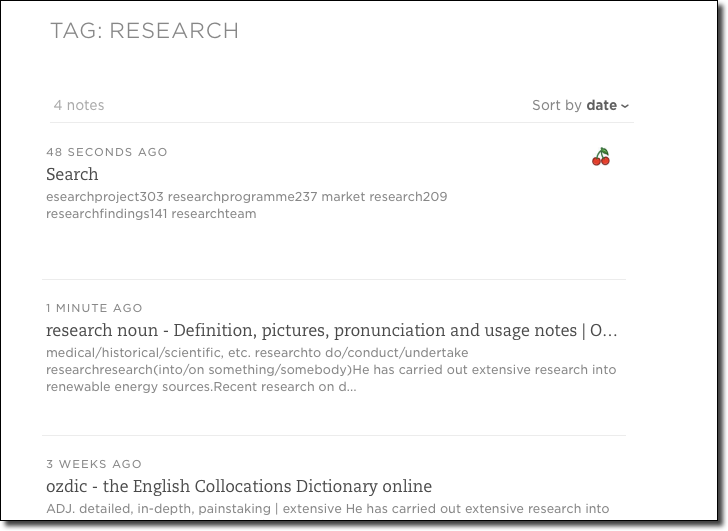 I’ve used it in the past to create shared vocabulary notebooks or useful website lists. Why it’s useful: EAP students need to regiment their vocabulary learning and try to go beyond the tried and trusted procedure of writing down a word and it’s translation in a notebook and then never looking at it again. 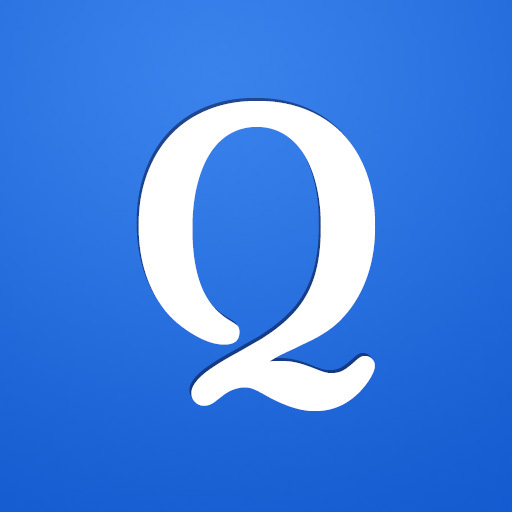 Quizlet is an app that can make that process a little easier and a little more fun. In essence, Quizlet helps you create flashcards, you can create your own lists and then use them to test yourself through a variety of quiz and game activities. These can be shared via a link or they can be part of a set of flashcards associated with a class. You can also search the huge database of public flashcards and add them to your own lists. Again, like so many other of the tools mentioned here, you can access them via the web or via apps for Android and iOS and they all synchronise so you always have your vocab lists up to date. Classroom uses: To take some of the workload off both the teacher and the student, you can create class vocabulary lists in Quizlet and then assign different students at the end of the lesson or at the end of the week to update it. You can also build in short five-minute activities at the beginning and end of certain lessons for students to revise those words through the various games on their mobile devices and compare scores. Students are often reluctant to use mobile apps to help them learn, which might seem surprising given how much time they spend on their devices. There might be different reasons for this: a reluctance to use their personal devices for ‘work’ or more likely just an unawareness of how potent a tool it can be for learning. And despite students perceived digital literacy, they often need approval from someone in authority before they are willing to start using these apps for study. So, why not try some of these with your students or at least show them how they could be used for self-study purposes?